Have you ever considered the true meaning of a word? What does it really mean? Where did it first come from? How was it first truly expressed? Throughout our history much has been ‘passed down’ the ages from generation to generation, but are we getting the whole truth? 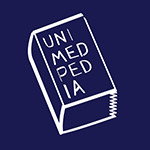 Unimedpedia provides articles to reveal the true and real meaning and origins behind words. As we present an understanding and experience of their true energetic meaning, it may surprise you to see just how far away we have strayed from true expression in our language. "There is no use in having words we can speak, write and express with if those words do not hold human beings and human life with the fullness of the love, preciousness, decency, harmlessness and the equal respect we all innately know life is to be. Any less than this is to use words for all that is less."